Excel files often contain important data and information, which could be lost when an excel document is deleted, unsaved or corrupted. However, that should never be a tragical end. 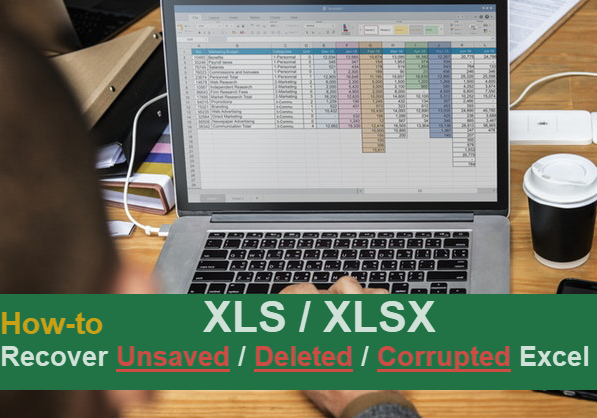 In this tutorial, you will learn how to recover excel files that were unsaved, deleted or corrupted. It is a pity to lose important works due to closing an excel document without saving. Luckily, Microsoft has implanted auto backup feature in its Office suit so that users can recover unsaved excel file easily. Usually, when you re-open the excel file where the unsaved part was lost, the program will alert you for available recovery options. This is how AutoRecover works. AutoRecover is enabled by default on Excel, but you can go to File > Options > Save to alter the frequency of auto backup. In case AutoRecover does not work, then you can also try restoring unsaved excel file from auto backup manually. On Excel, click File > Info. 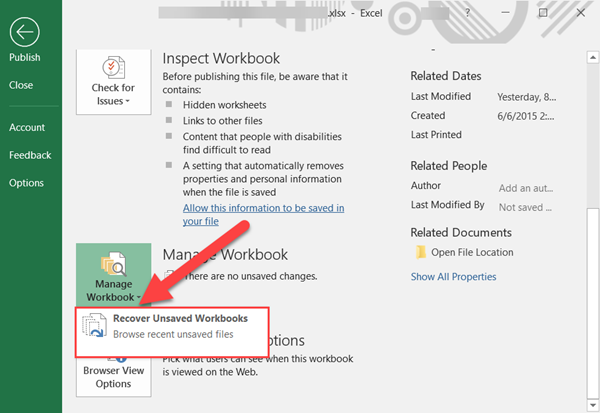 Click Manage Workbook box, then choose Recover Unsaved Workbooks. A File Explorer window will pop up allowing you to choose available files for recovery. The AutoRecover feature of Excel file on Mac is also very easy to access. Click Finder on your Mac computer. Navigate to /Users/[username]/Library/Application Support/Microsoft/Office/Office X AutoRecovery (X represents the Office version). 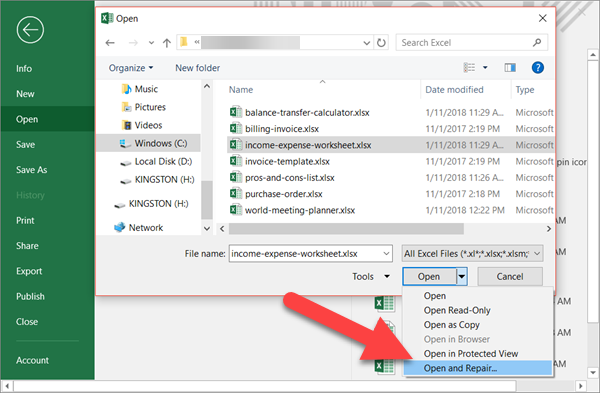 Open and recover the unsaved excel file, then save it to a safe location. All of the above options in this method reply on the auto backup of Excel program. If there is any valid backup existing, then it will work like a magic. Otherwise, you may still need to start the work again. Comparing with the recovery of unsaved excel, it seems more difficult to recover accidentally deleted excel files. Actually, that’s not the case. As long as you use a reliable data recovery software to scan the storage device soon enough, it is highly possible to undelete excel files on Windows and Mac computer. iReparo for PC is such a great excel file recovery software, which can retrieve deleted xls/xlsx as well as other files from computer hard disk, memory card and USB flash stick. Step 1. Run the excel recovery software, then choose Recover File. Step 2. Select the partition, click Advance Scan to tick only XLS/XLSX, then click Scan Now. Step 3. Preview the found excel files after scanning, then click Recover button. 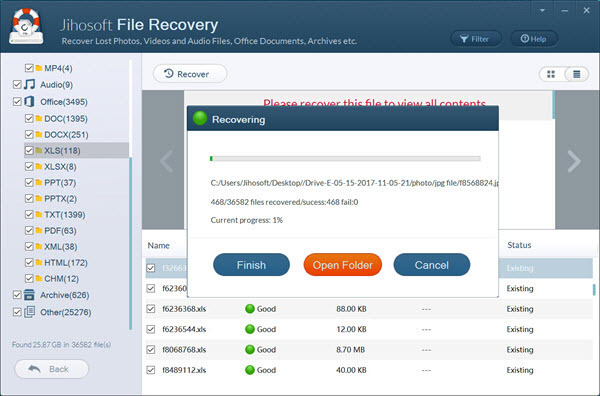 The excel file recovery software also provides a function for backing up storage device as image files. It works great for backing up SD card data. Excel files can be corrupted due to an interrupted transfer or when partially overwriting happens. It is indeed hard to repair corrupted excel documents, but here are two methods that worth a try. Run Excel program by opening any excel document. Click File > Open > Browser, select the corrupted excel file. Though the repair function provided by Microsoft is very handy, it only works occasionally. There are a lot of tools online claiming the capability of repairing corrupted excel files, but it is not easy to choose a trusted one. You’re suggested always try before pay. Most excel repair tools should allow free preview. Step 1. 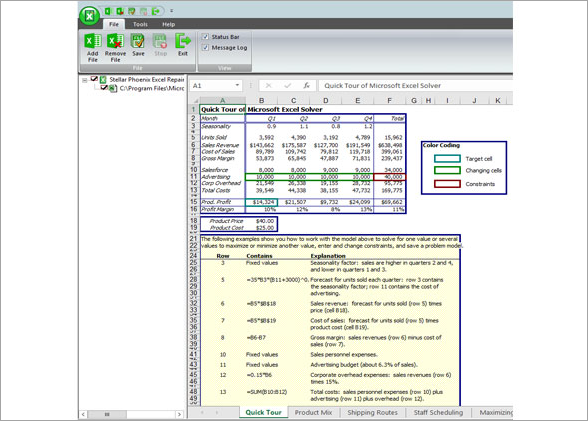 Run the excel repair tool. Step 2. Select the corrupted excel file, then click Scan. It also allows you to search for the corrupted excel file within a folder or drive. Step 3. Preview the repaired excel file after scanning, then click Save button if you’re satisfied with the result. The above 3 parts can almost cover all the solutions for restoring excel data which is inaccessible due to various reasons. Kindly tell us if you have any questions or more interesting findings about Excel.